Clients looking for Harley-Davidson audio system upgrades choose California Car Sounds and Tint in Campbell. Our team of installation technicians and trained sales staff can work with the Boom! Box radio on your motorcycle and upgrade the system with better speakers and an amplifier to create an amazing audio experience. Read on to find out how we improve Harley sound systems to provide the performance and reliability that our customers demand. 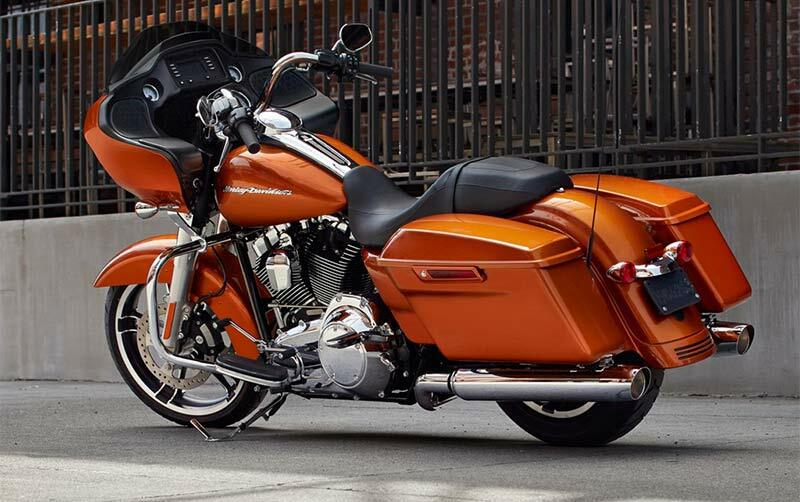 One of the most challenging aspects of upgrading the speakers and amplifier on a 2014 and newer Road Glide, Street Glide or Electra Glide involves correctly extracting an audio signal from the factory source unit. 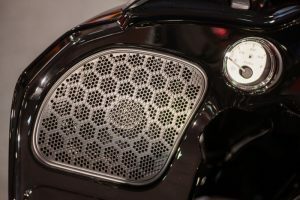 Depending on the radio and sound system on your bike, the equalization settings in the factory radio may not be compatible with an aftermarket amplifier and speakers. Two solutions are available to address this strange tuning. Some retailers change the settings in the factory radio with a performance tuner module. Changing the radio settings reduces the amount of equalization and allows new speakers to perform better. Our choice of solutions is the ARC Audio PSM Digital Sound Processor. This compact module is designed to plug directly into the factory Harley-Davidson speaker wire harness and corrects the Harley tuning before the audio signal reaches an amplifier. One distinct advantage that the PSM has over radio reprogramming is that we can tune your system for the speakers you have chosen. Whether you have chosen Morel, JL Audio or ARC Audio speakers, we can fine-tune the response of the system to your tastes. Having a signal processor like the PSM on board lets us get more creative with the system design. We can run a component set of speakers with active filtering to increase the system’s efficiency and power handling, or add a small subwoofer to reinforce the bass response. The options are nearly endless. We do not do oil changes, now are we interested in repainting your bike. Our installation team specializes in audio system design and installation. We understand the challenges of installing audio equipment in a challenging environment like a motorcycle. We tightly secure all of our wiring to ensure that no damage will occur from vibration. Our electrical connections are both electrically efficient and reliable to ensure the system will perform flawlessly for years. Where we locate equipment and how it is mounted is unique to our motorcycle audio system installations. We even design serviceability into our installations. If a saddle bag has to be removed to service the rear wheel, we provide quick-disconnects for any associated wiring. When it is time to upgrade your Harley-Davidson audio system, ride on over to California Car Sounds and Tint, and talk to a member of our sales team. We would be happy to design a sound system upgrade for your Harley-Davidson. In fact, no matter what you ride or drive, we can make your music clearer, louder and more defined. For more information about our motorcycle audio system upgrades, call the store at 408-378-0409 or send us an e-mail using our online contact page. We look forward to hearing from you.